Do you feel your teaching skills need an upgrade? Have you considered the help of smartphones to do so? Their usage is making a huge impact on our lives and that, of course, includes how and where we teach and learn. Teachers should not resist this new trend. On the contrary, we should take advantage of mobile devices and their applications to expand our students’ exposure to the language, to radically improve our teaching practices, to facilitate collaboration inside the classroom and to create fascinating teaching materials. Not only is it possible, but I will show you how. By sharing activities I did in class that worked, I can prove how powerful apps are to teach and enhance learning. An application or app is a type of software designed to perform a specific task such as playing a game, adding special effects to photos or collecting content from the Internet. Apps are generally associated with mobile devices such as tablets or smartphones, but they can also be used on computers. Phones come with many apps already installed. If you want a new one you download it from online stores. Each operating system has its own online store, where the apps are organized in categories such as education, games, family and social, amongst others. You can run apps on your computer too. There are different ways to do so. The one option I have found useful is through the Chrome browser. You need to have the Chrome browser installed and a Google account. Once you have both you can add apps to the Chrome browser from the Chrome Web Store. Searching for an app will usually produce a large number of results. It is worth looking at the reviews and ratings before you add an app. There are many educational apps available to study English. If you go to the app store and type English in the search box, you will find many results. You should read the comments they have because they can help you decide or understand the purpose of the application. In any case, you can install it, see how it works and if you don’t like it, you simply delete it. 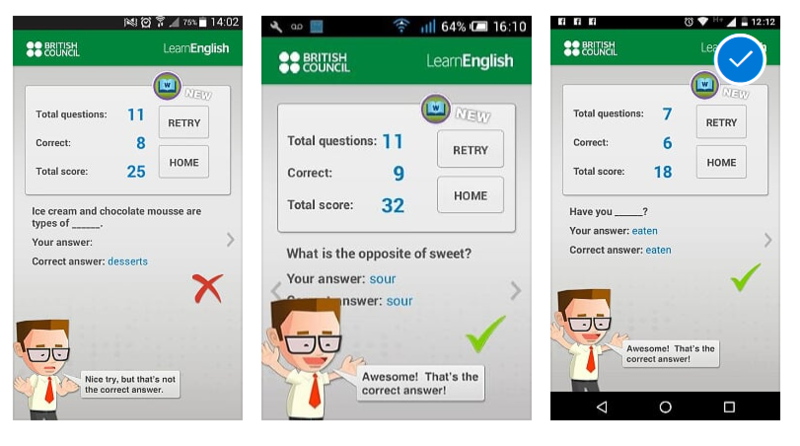 While searching for educational apps to expand my students’ exposure to the language, I found the British Council apps. There are many options. I advise you check them to see which best suits your students’ needs. What I did with the apps was to assign some exercises to my students as homework and ask them to take screenshots to show their results. They shared the pictures in the following class. With a group of children I had, I invited parents to download the app on their phones and use them to share time with their kids playing in English. You can also integrate apps into your language teaching which are non-educational. When I use the term ‘non’ educational I refer to apps which were not designed to teach something; in our case, English. 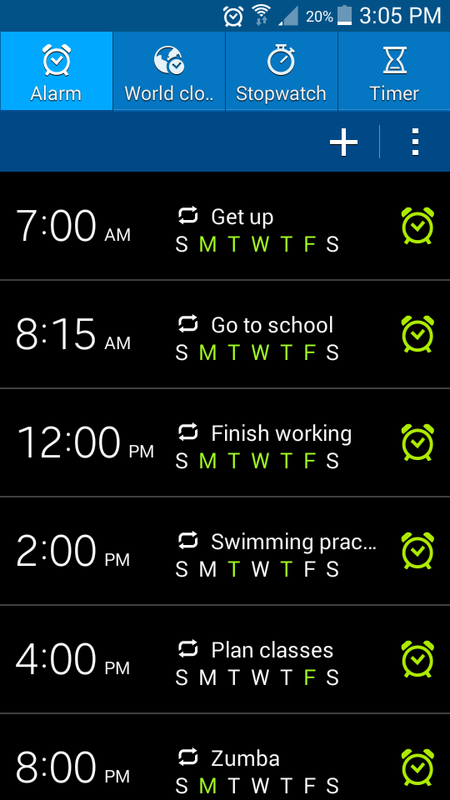 Let’s take the example of the alarm clock app. The app was designed to perform the challenging task of waking you up. But, if you look at it again, through the eyes of a teacher, always on the lookout for future teaching materials, you can create new teaching and learning opportunities. 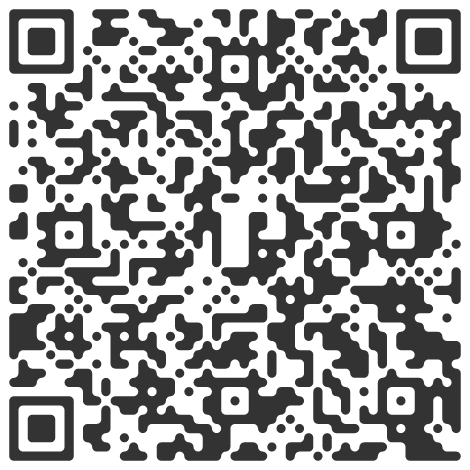 Beautiful QR Code Generator is an app used to make QR codes. Because the information is compact and encoded, it is easy to distribute and it improves learners’ engagement through hiding and then revealing info. 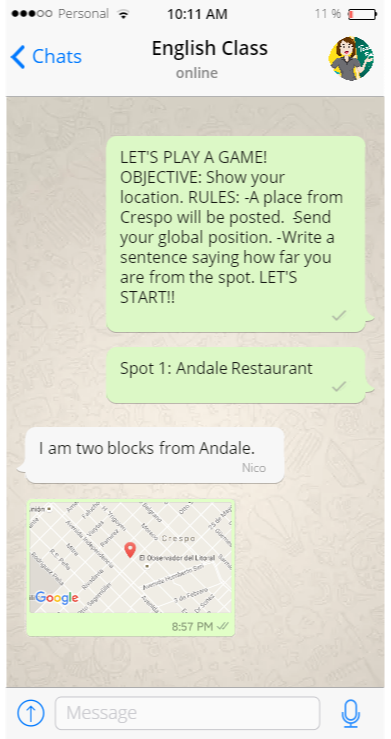 The app is so simple that you just need to paste or type text into a box and the code is created. 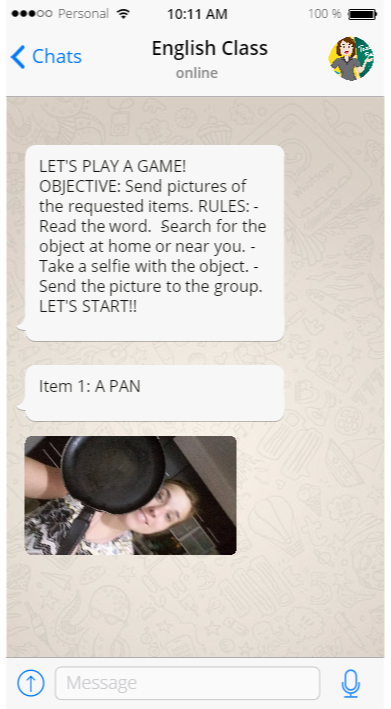 What I did with the application was to apply it to a traditional task: A Scavengers hunt! So when I taught rooms at school, as a final activity, we did a Scavengers hunt around the school. Before the activity, I asked my students to have the QR Code Reader installed, which is an independent app you need to read the codes. 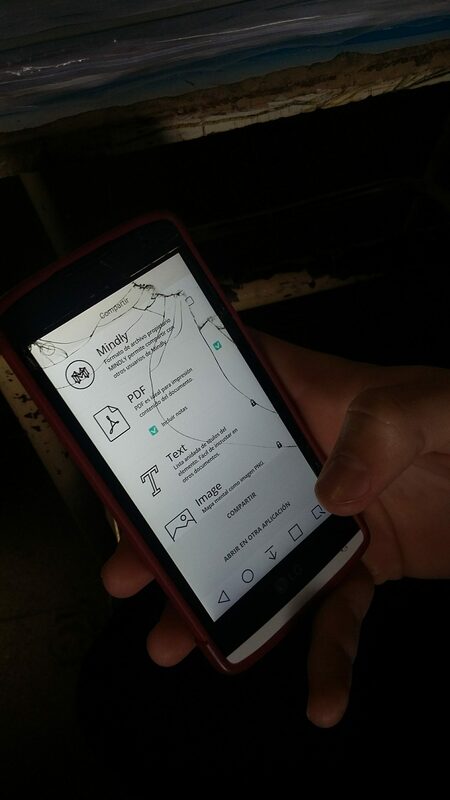 Some phones come with the app already installed; you should check that in advance. You could also give a secret barcode printed to students when they leave the classroom. They have to scan the code for homework, answer the question and give the answer back to you at the beginning of the next class. This activity could work as a warm up, revision time. QR Codes definitely make jigsaw activities much more appealing because they are very innovative. People love discovering secrets; by using these types of codes you are targeting that area of the brain. You should be careful not to overuse it, though. Instagram is a social media platform used to share photos and 60-second video clips. There are lots of Instagram accounts that are great for language learning in general as well as specific language accounts. Following relevant accounts is a great way to enrich the language. 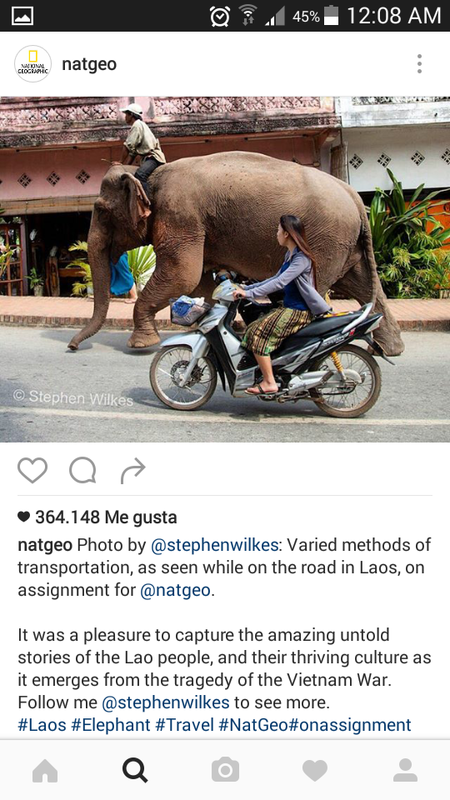 One example is the National Geographic account. If you follow it you will see they post wonderful pictures with great comments underneath. What I did was to give students one image each but hid the comment. So first, they had to talk about the picture. Then I gave my students the comment the author of the picture wrote about it. So they read and finally share their pictures with the rest of the class. If you search the web you will see many teachers are already using Instagram. You should check for more ideas and share yours if you come up with some new ones. Mindy is an application which was designed to help us create mind maps. If you visit their website you will see how simple it works and how useful it can be to teach. In my case, I asked my students to download it at home in advance. In class, we worked with Mindly to create mind maps that would help them remember grammar. 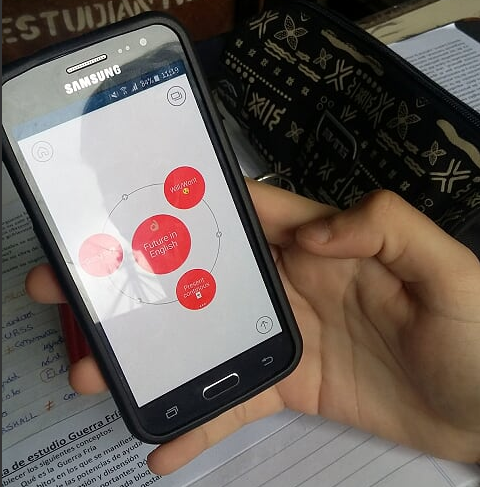 The most famous app is also finding its way into the classroom. Many teachers are thinking about how to turn things around to make the app useful to teach. What I have learnt so far is that rules need to be clear from step one, then, it is an easy task to complete. 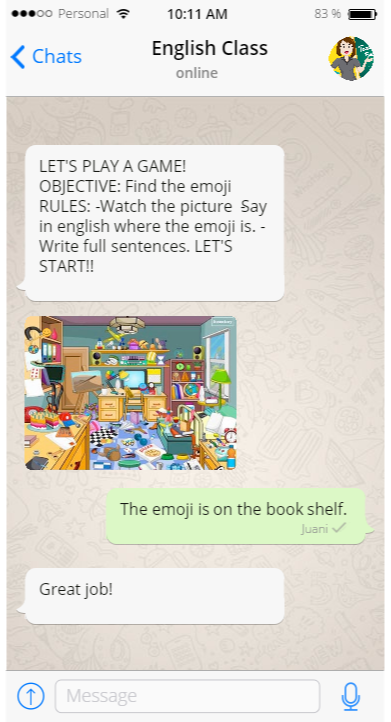 I want to show you my attempt to include activities using WhatsApp. In the following pictures you can appreciate three games I came up. All of them were assigned as homework. Last but not least you have Sing! which is a very popular Karaoke app. I just used this one to have fun with my students singing songs in English we have learnt in class. Working with technology and using some of these apps will effectively help you add a new dimension to your teaching. It’ll give your students a break from traditional activities and settings. Many are the options you have with apps. What’s more, it is good fun to create learning materials with them. The question that always inspires me is;/ What can I do with this app that is not possible without it? How can I take advantage of that? Please be prepared. Always plan when and which app will you be using. It is always a good idea to ask them to download it before class. My dear colleagues, there’s no better time than today to upgrade your teaching skills. Don’t be scared to try out something new it’s totally worth it. Bio: Angeles Hergenreder is an English teacher and graduate of the Autonomous University of Entre Ríos in Argentina. Her excellence in teaching is evidenced by the Fulbright Scholarship she received in 2012 and ten years’ experience of teaching English to kids, teens and adults from both public and private institutions. 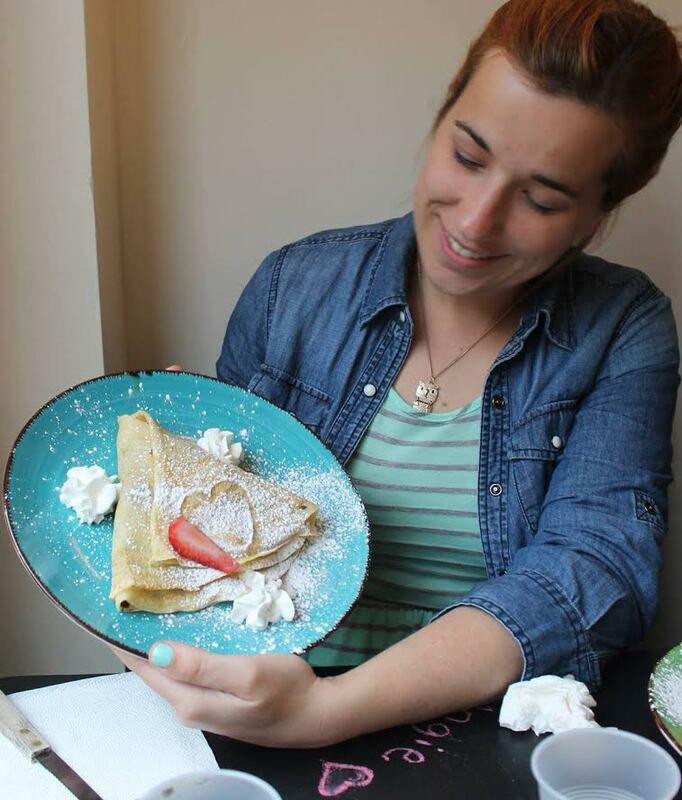 She is currently teaching EFL and working as a consultant for the Consejo General de Educación in Entre Rios.